Make your bachelorette party all the more fun by including these bachelorette party badges. 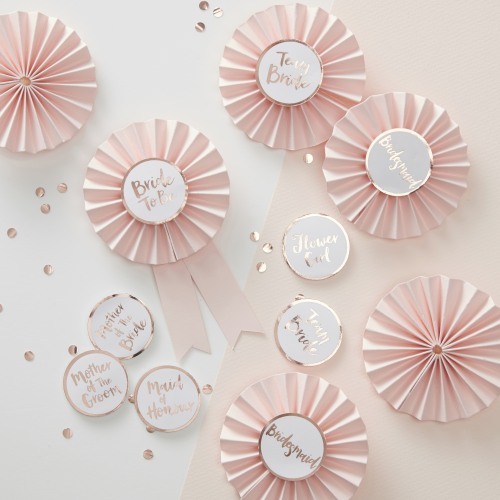 Each set comes with six pink pinwheel badges and rose gold stickers including Bride to Be, Made of Honour, Bridesmaid, Mother of the Bride, Mother of the Groom, Flower Girl, and Team Bride. Great for photos and making each of your loved ones feel special.